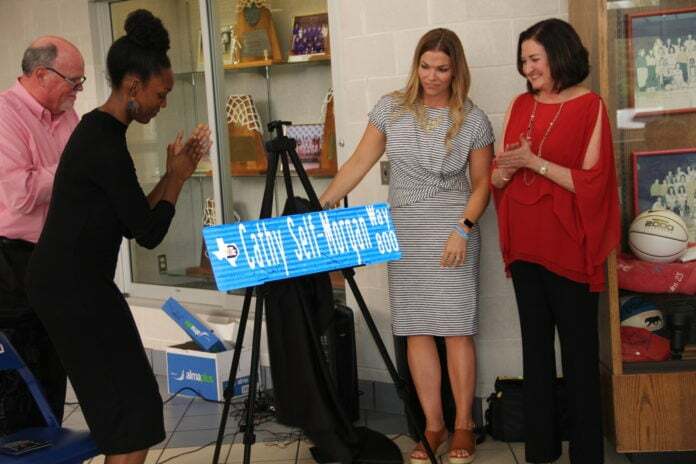 DUNCANVILLE—Coach Cathy Self-Morgan. It’s a name that most residents in Duncanville know well, especially if you are a girls basketball fan. 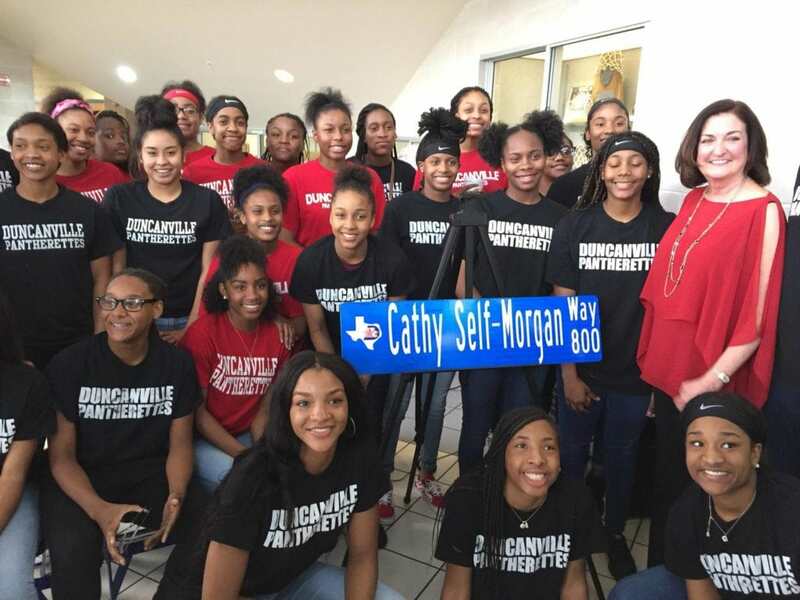 This week, legendary Duncanville Pantherettes Coach Cathy Self-Morgan had her name secured in history when the city named a street in her honor. Cathy Self-Morgan Way, is replacing what is currently a part of the city’s Middale Road. Self-Morgan has been with Duncanville ISD for 18 years and has taken the Duncanville Pantherettes to victory after victory over those years. Beginning her coaching career 39 years ago, she has compiled winning records few ever achieve and has earned national recognition for her successes. Self-Morgan has taken the Pantherettes to 615 wins and five State Championships averaging about 34 wins a year. Her teams during her 39 years overall boast an 83 percent winning average and have won more than 1,100 games. During that time, in addition to the five Duncanville State Championships she also saw three titles while coaching at Austin Westlake. The gathering consisted of city council members, district trustees, past athletes coached by Self-Morgan and a crowd of proud residents. It is also noteworthy that Self-Morgan has worn a variety of hats over the years with the district from leader, to coach, therapist, boss, mom and even social worker. Self-Morgan’s husband Jack who also keeps the books for all away games and announces home games, says the move to the City of Duncanville was the best decision ever. The answer; the school district, the community and the students. Later this month, Self-Morgan will take her place in the Texas Sports Hall of Fame in Waco. The hall of fame dates back to 1951 and is home to more than 300 Texas sports legends.